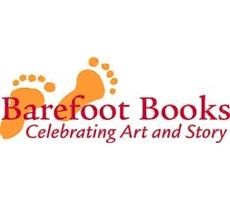 Nics Barefoot Books Edinburgh: Let's Boogie! Why am I so tired all over again? is this just life at 40 (something) !!??! and do I just have to get used to it? or should I be doing it (life that is) differently....well who knows and I have actually given up trying to analyse (too tired!). I just like to remind myself that there are some things that re-energise me...and one of those things that works almost instantaneously is music (the right kind of course). Often followed by dancing (any kind!). 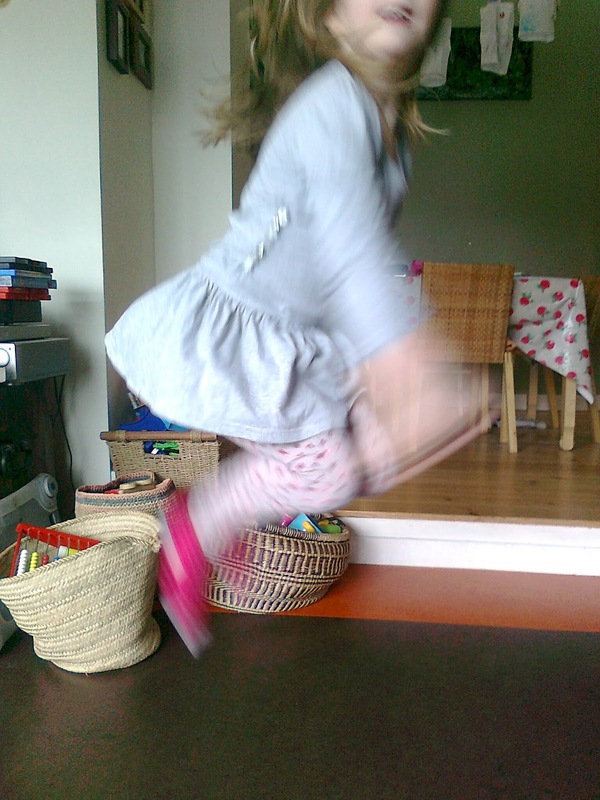 In keeping with this theme and inspired by thoughts on picture books, dancing and rhyme - thank you Picture Books and Pirouettes! 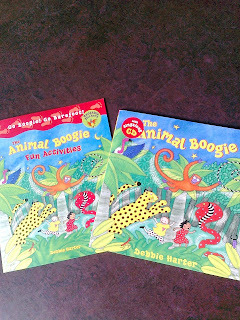 - I am reviewing Barefoot Books 'The Animal Boogie' and 'The Animal Boogie Fun Activities'. By Debbie Harter and sung by Fred Penner. Now hopefully most of you will recognise this book as it has been one of BFB's mainstays for quite a while and gracing the shelves of nurseries, playrooms and bedrooms for a long time. Despite selling it at my events all the time, I haven't yet really sat down and reviewed it properly... so here goes. First off, the book now comes with a enhanced CD. I had no idea what 'enhanced' meant at first, it sounded quite complicated. But it just means you can watch the animation on a computer as well as listen to it as a normal CD player. Even I have managed to do this! This is a great feature as the illustrations are so vital to the book and to see them come alive to the music is amazing. Nurseries love this book and I have been told early primary years use it too, to get the children up and dancing around - keeping brains in action as well as bodies. We start off the journey through the jungle trying to see who we can see hiding and who will be revealed on the next page. 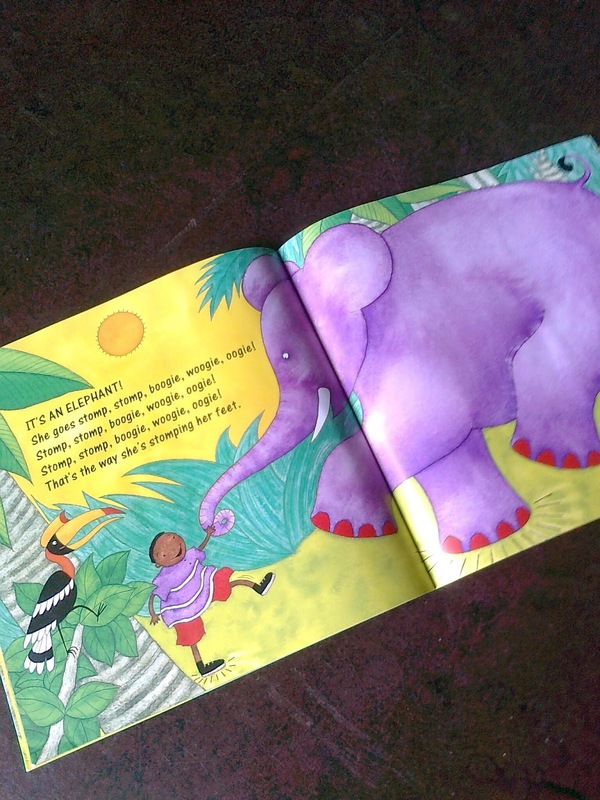 Different children find a bear, a monkey, an elephant, a big bird (not from Sesame Street! 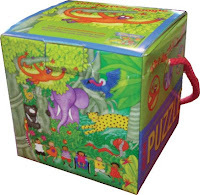 ), a leopard and a snake - each animal is shaking, swinging, stomping, flying, leaping and slithering...the children start dancing with the animals so they are ALL boogie, woogie, oogie ing at the same time! The children are from different ethnic groups and one girl is in a wheelchair so lots to discuss along the way. My favourite animal has to be the elephant - because she is so purple which only adds to the fun. 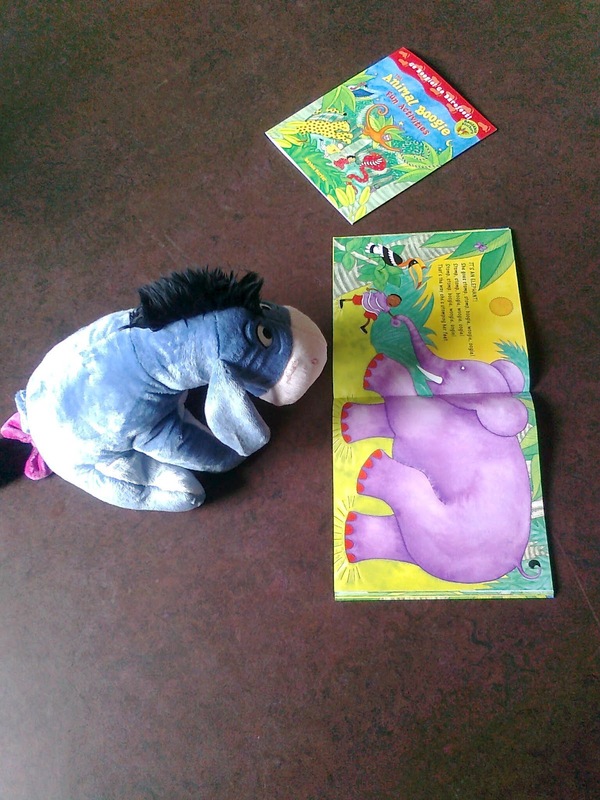 Hariot loves the fact that each child is wearing colours to match the animal they find - a clever idea filling each page with a main vibrant colour. 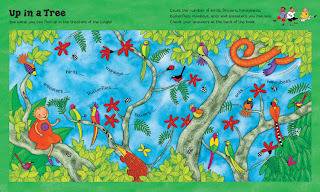 At the end of the book all the girls and boys sway together along with the animals swaying in the background. The animals are all named at the end of the book eg. sloth bear (not just 'bear'), vulture (not just 'big bird') and for those of us who are in slightest bit musical, the tune is there too incase we want to play it ourselves. 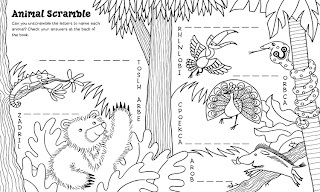 The Animal Boogie activity book is just that - full of fun and business. I have recently given this book as a party bag gift. 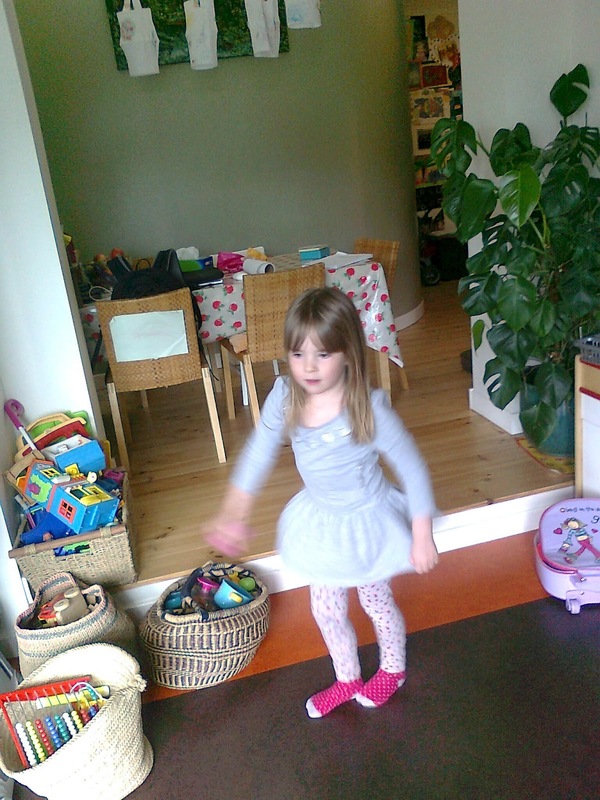 Having had three girls and more than a few parties along the way, I was looking for something different to hand out. These went down nicely along with some coloured pencils to keep them busy on the way home and for longer! 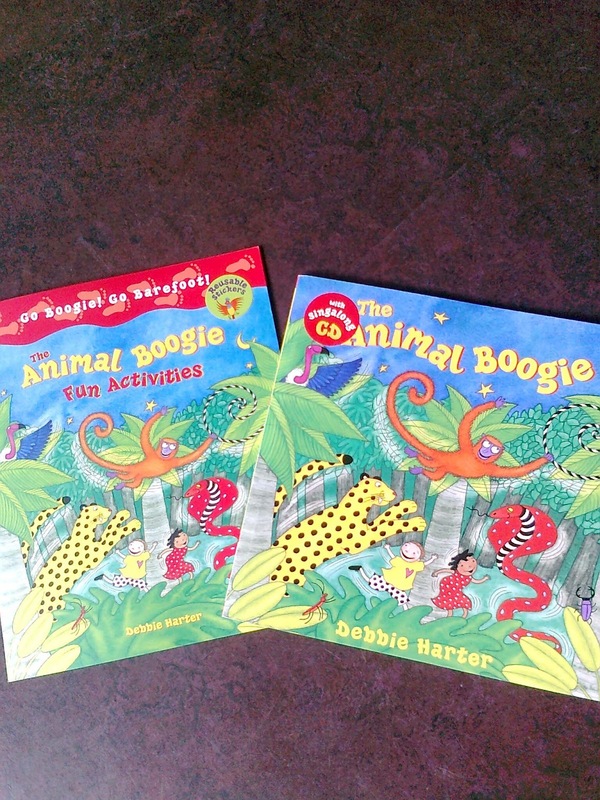 The Animal Boogie has become a winning formula over the years and as well as the Sing-a-long book (forgot to mention the CD is essential for car journeys!) and the activity book there is now a cute mini cube puzzle. 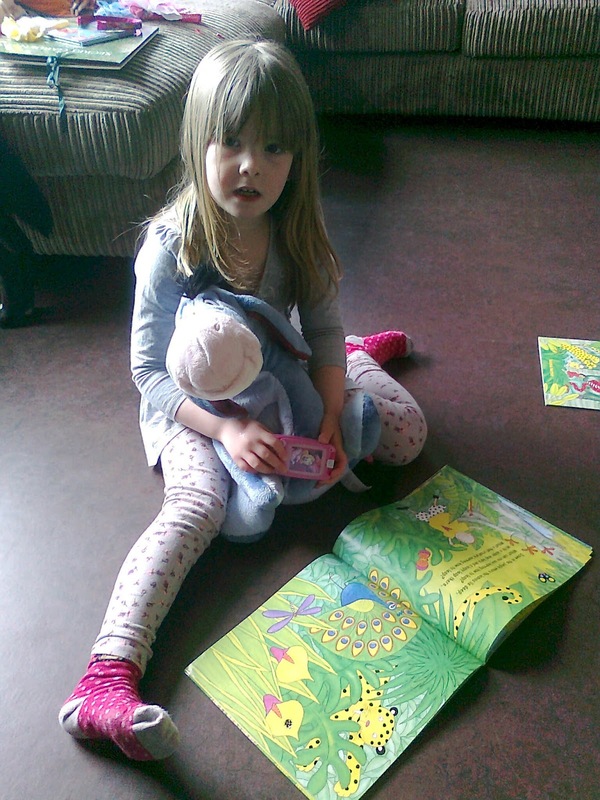 Great choices as gifts together or on their own and a great example of how sing a long books can work without annoying us parents - as we love it too! Thanks Kerry! it is still great for me to hear about dance teachers, yoga teachers and regular teachers using this book! 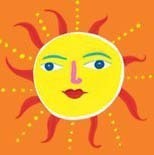 Hope you get some sleep...naps are great aren't they but so hard to get up from!